I wasn't joking when I said I love dining with a view in this beautiful San Diego Spring weather! On this day, a couple of girlfriends and I did a catch up session at one of my favorite views in San Diego, George's at the Cove. 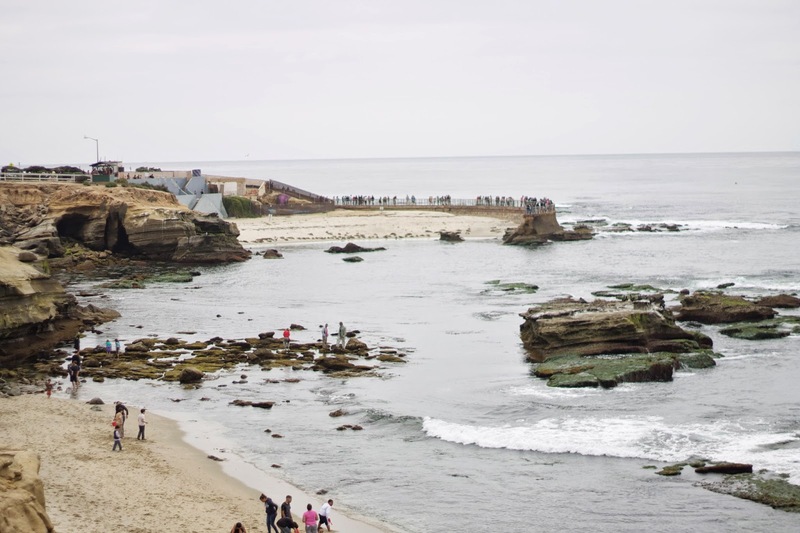 It overlooks the ocean, you can see the kayakers and seals and enjoy a delicious mango mojito! 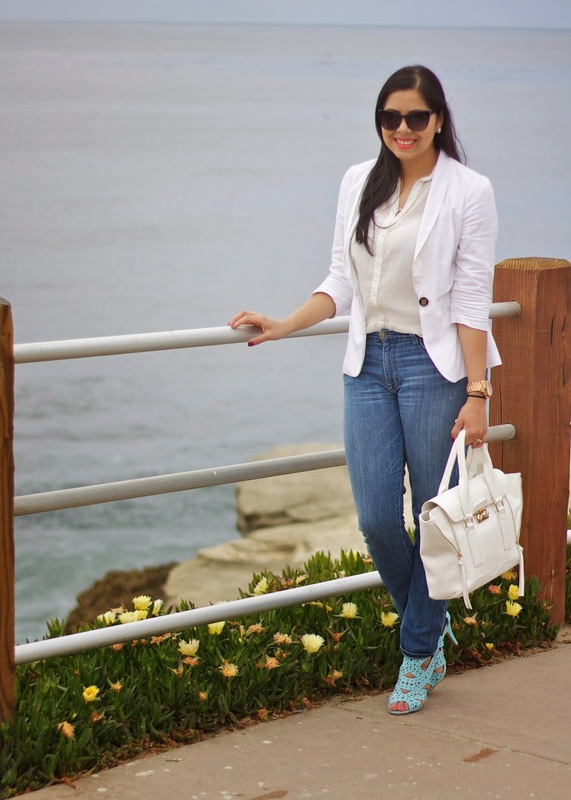 I wanted to keep it simple and you can't get simpler with a white top and jeans, but lately since I have been resorting to flats, I decided to bring out the blue sandaled heel shoes (last seen here)! 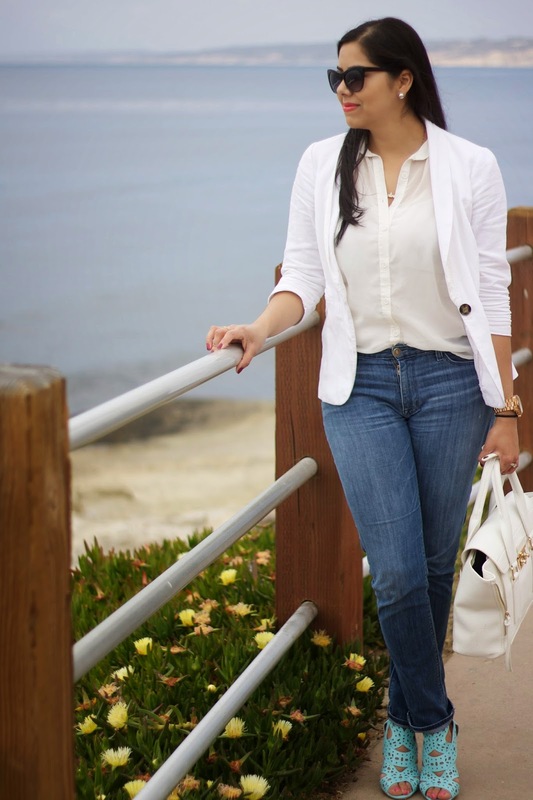 Style tip: You can always pair some statement shoes with white top and jeans! About the Outfit: Charlotte Russe Blazer (similar) | Hudson Jeans | ShoeDazzle heels | Handbag Deal: Just Fab or Splurge: 3.1 Phillip Lim | Lipstick MAC "Vegas Volt"
Hi Paulina. 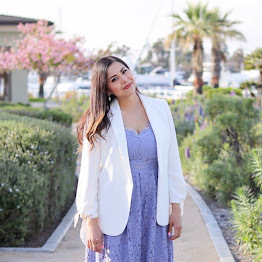 This is a very nice outfit, and I love the shoes =) Would love to get in touch with the san diego blogger community. Sounds like you all had a nice time at the Burch event. Your outfit is so pretty. The shoes are the perfect finishing touch! You look beautiful, I love the shoes! 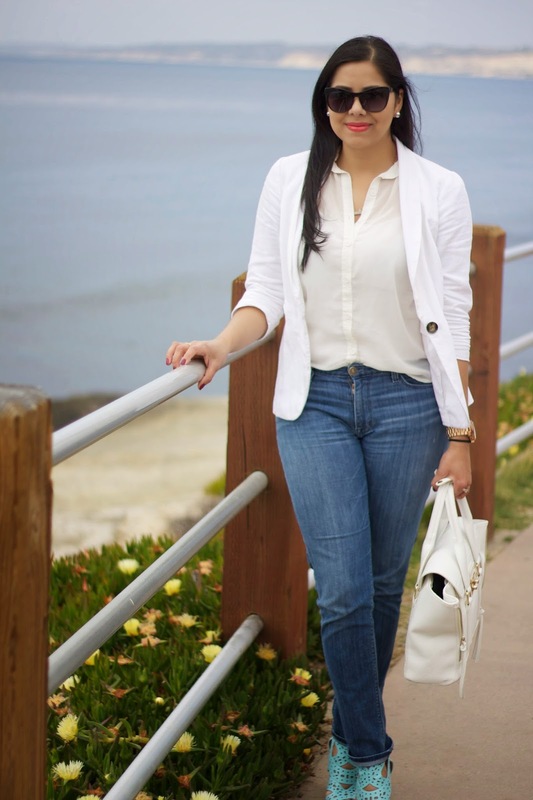 love the white blazer plus white bag. hot! xO! I love the blue shoes with this look! I'm obsessed with blue shoes (most women like red, I like blue) and these are fabulous!